President Trump compared allegations that the Saudi government authorized the killing of Washington Post columnist Jamal Khashoggi to accusations of sexual misconduct against Supreme Court Justice Brett Kavanaugh. 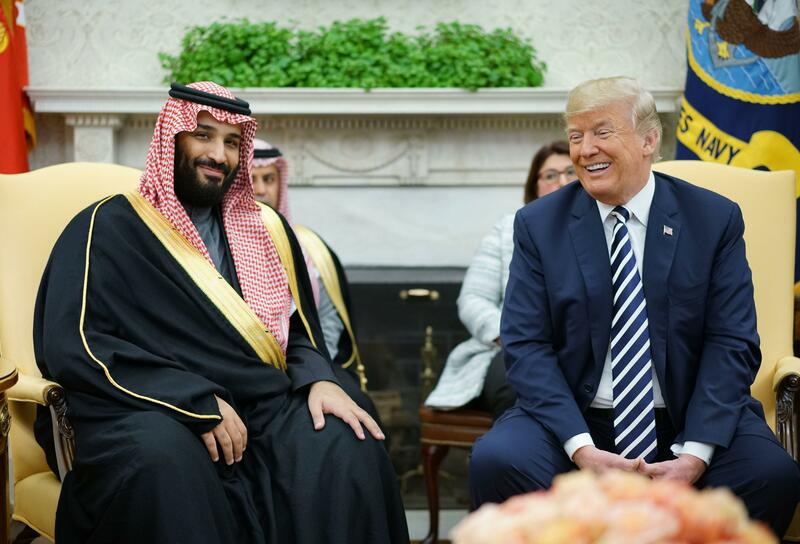 "I think we have to find out what happened first," he said in an interview with the Associated Press Tuesday about Khashoggi's disappearance in the Saudi consulate in Istanbul two weeks ago. "Here we go again with, you know, you're guilty until proven innocent. I don't like that. We just went through that with Justice Kavanaugh and he was innocent all the way as far as I'm concerned." The president suggested on Monday that Khashoggi could have been murdered by "rogue killers." Turkish sources, meanwhile, have alleged that Saudi agents were involved in Khashoggi's murder. On the domestic front, Mr. Trump told the AP that he would be replacing current White House Counsel Don McGahn with Washington lawyer Pat Cipollone. McGahn announced that he was leaving the administration this summer. He said that Cohen was nothing more than "a PR person who did small legal work," and said it was "very sad" that Cohen had struck a deal to "achieve a lighter sentence." Mr. Trump also deflected any blame should Republicans lose the House of Representatives in November, saying that he was "helping people" with his campaign efforts and that he believes Republicans "going to do well." He touted his appearances on the campaign trail, saying that "I don't believe anybody has ever had this kind of impact."